Looking ahead to 2018, we're embracing three C's: clarity, commitment and community. The C's explain our approach to yoga. Some people think yoga's a trend. Some people think it's a religion. Some people think it's a workout. We believe yoga is a path to a happier, healthier life. For many people, yoga is a keystone habit-one action that helps you to do other good things for your body and mind. For example, if yoga is your keystone habit, when you practice yoga, your focus is better, you choose healthier foods, and you're in a better mood. Our C's define how we bring yoga and wellness to you. And we hope to help you make yoga your keystone habit. Yoga is much deeper than a trendy workout, and lacks the dogma of a religion. Yoga is a personal practice that can elevate you to uncover your best self, although along the path you may encounter some undesirable shadows. To get to the light at the end of the path, sometimes you need to cross a dark alley. In yoga's philosophy, based on Samkhya, we try to cultivate the quality of sattva: clarity. When you cultivate sattva, you're able to discern the reality from the BS and you're less likely to become deluded and self-important. You're also better at finding the people, activities and mindset that support growth. Practices of yoga like meditation, pranayama and postures build sattva. Eating a diet of fresh, whole foods also builds sattva. Spending time in nature and in pure and clean places encourages a sattvic state of mind. 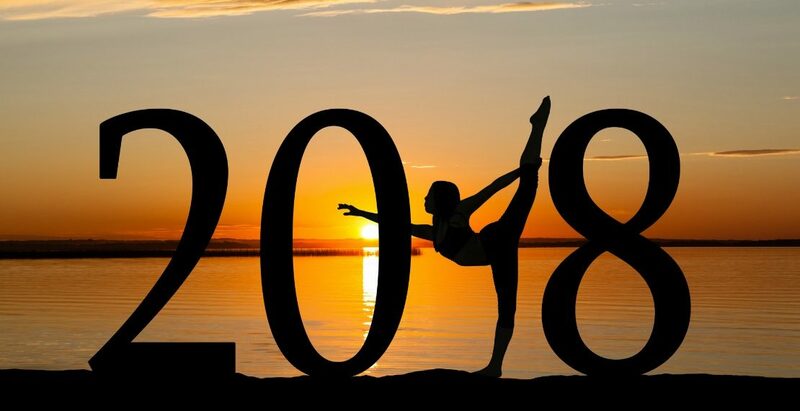 In 2018 we're working on providing you will a sattvic yoga environment in New Orleans. A clear and clean new website. New students have a clear path to start yoga classes with our Introduction to Yoga Program. We're committed to helping you to get and stay healthy for life. We urge you to commit to yoga for the long haul, because when you commit, change comes. Rather than a quick-fix, think of yoga as an essential part of your life. Let's be honest. Yoga isn't a cardio workout, yet higher-intensity activities have proven benefits in cardiovascular health. This year we're introducing High-intensity Interval Training (HIIT), designed to get you fit and strong for yoga. "The overarching message of this year's exercise-related science was that physical activity, in almost any form and amount, changes the arc of our lives. Two weekly HIIT Classes with a talented new instructor, Michael Scott. Lifting the daily limit of 1 class/day on Balance Membership. You can come a HIIT class and yoga. Or come to Happy Hour Yoga, then stay for Refresh and Restore. Balance basics classes for new and experienced students with Seneca, Jay and Sean. We're building our community so that we continue to motivate and inspire one another. Have you heard of the Blue Zones of Happiness? Places where people congregate around healthy activities together are happier and live longer. On a small scale, we bring New Orleaneans together for healthy and uplifting activities. People are happier with face-to-face interaction, less TV, and less social media. We are here to boost your health and happiness and to help the environment of the city. Think about how you'd like to feel at the end of 2018. What would you be proud to look back on? Have you been thinking about a yoga teacher training? Or maybe starting a meditation practice? Are you curious about a new style of yoga? We'd love to support you on your journey to 2018.